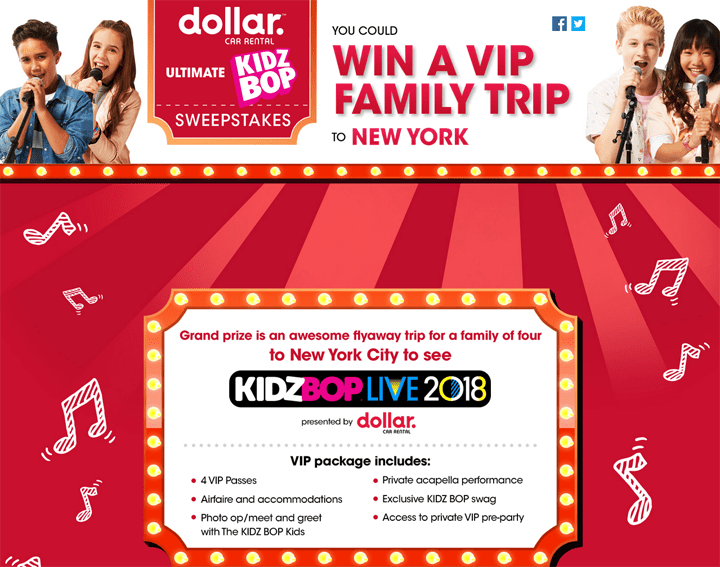 The Kidz Bop Experience Sweepstakes is open only to natural persons who are legal residents of the United States of America who have a valid social security or tax ID number and who are at least twenty (20) years of age. The Kidz Bop Experience Sweepstakes ends at 11:59 PM Pacific Time on October 18. Visit the Promotion registration page located at livenation.com/dollarrental and complete the registration form.